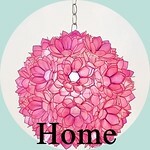 Most Artwork and Decor Featured in this Article is ON SALE at Rousetheroom.com. 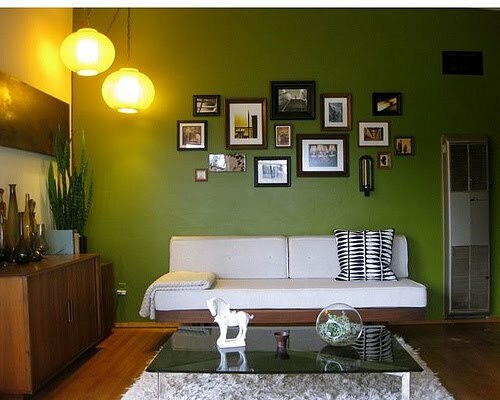 If you're drawn to the first photo, this is your guide to hanging wall art and decorations for a favorable, clean and cohesive result. Decorating with accent colors is a design tactic that takes little effort but yields a dramatic transformation. Whether your walls are plain white or rich in bold color, choosing décor pieces in colors that compliment (ACCENTuate) your room color is crucial in order to give your design direction and depth. So, how do you choose accent colors that coordinate with your paint? You could grab a color wheel and take a scientific approach to decorating your home, but I recommend getting inspired instead. Get Boho home decor ideas from the coolest Bohemian styled rooms and the newest, discounted Bohemian art and home decor products. 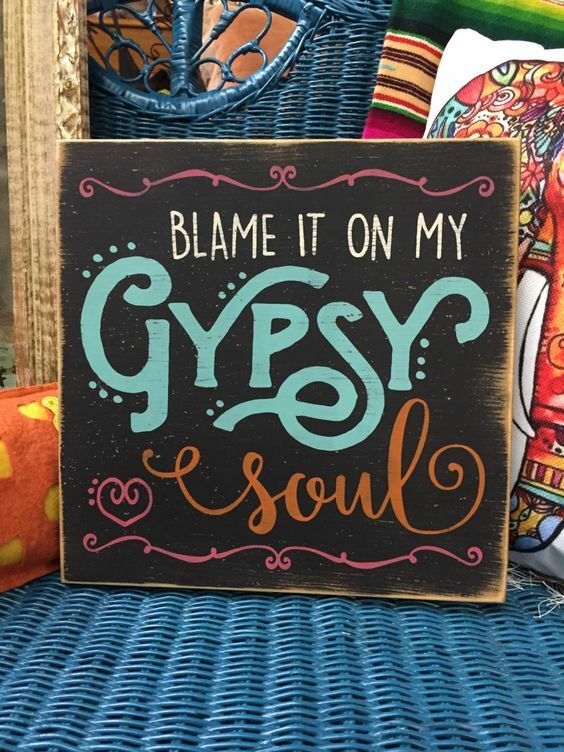 This chalkboard decorative sign displaying the phrase "Blame it on my Gypsy Soul" seems to me a good interpretation of Bohemian style. What I love about Boho interior design is the focus on individuality and beautiful Mother Earth. Your Bohemian style home or room should speak to your individual personality and lifestyle while drawing influence from nature and meditation. What is it about the homes of the Hollywood Hills that appeals to your inner decorator? No brain buster there! It could be the grand common rooms with walls of huge windows carrying currents of natural light. Maybe it's the architecture that boasts high ceilings and wood beams. But no matter how structurally appealing they are, a home doesn't come together and become your own without the personal touches of personal choices in home decor. We've put together some AWEsome inspiration and tips for creating your own Hollywood Hills Haven. 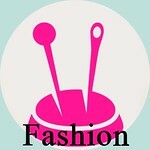 We will even show you how you can obtain some of the exact home accessories featured in the Hollywood Hills homes below. 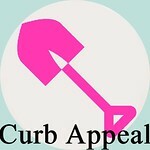 Where do you start when it comes to decorating your apartment so it doesn't feel like you live in a white walled ward? You want to bring your space to life but you feel confined by the space itself. You see trendy apartments and lofts and you think, "Only a professional decorator and a budget beyond mine could pull that off." 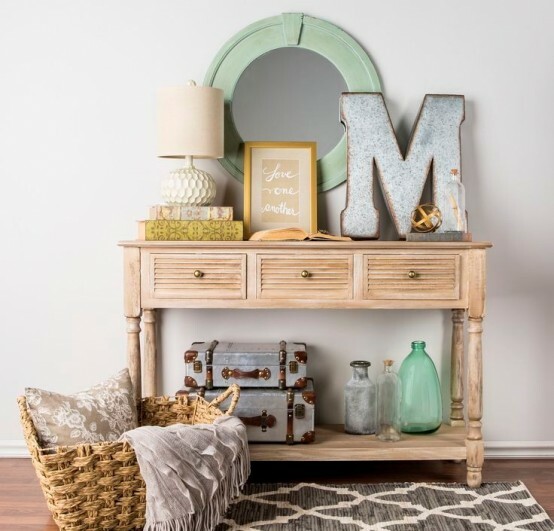 Farmhouse decorating is all about the mixing and matching and placement of home accessories and lots of them. This makes over cluttering a common mistake when trying to pull off this theme. To help you get it right, here are some tips and tricks to creating a farmhouse design in your home. 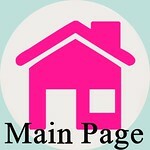 What is it about bungalows that has interior designers and home owners so inspired? Maybe it's because you can't think of a bungalow without thinking of a vacation, and who doesn't want to live in a permanent vacation? Here are some tips for decorating your home bungalow style. Rouse the Room home and wall décor has the most unique and interesting accessories for big blank spaces. With wall decorations that take up big spaces, you don’t need a professional designer to makeover your home. Just follow your style instincts and use one art focal piece.